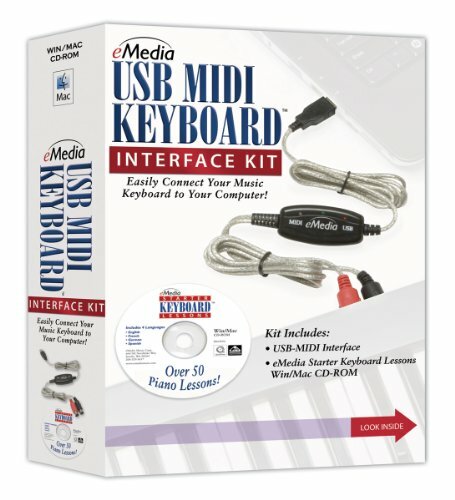 Usb to midi keyboard interface: 1 midi in/1 midi out ; usb bus-poweredno external power necessary ; low latency midi response ; easy to hook up & use; starter piano & keyboard lessons cd-rom (eng/sp/fr/ger). Easily Connect Your Music Keyboard to Your Computer! eMedia Starter Piano and Keyboard Lessons CD-ROM (in English, Spanish, French & German).